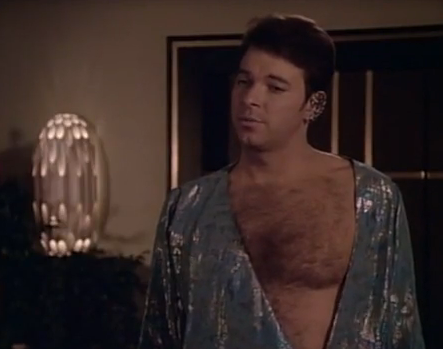 Somebody better grab some smelling salts from Sick Bay 'cause vintage Commander Riker in all his gloriousness is stepping out of your naughty dreams and onto the big screen for one night only. He and the rest of the crew from the Enterprise will be starring in two back-to-back episodes along with behind the scenes footage from season one of Star Trek:The Next Generation in theaters across the nation this July. 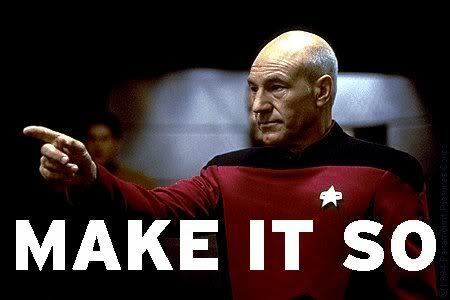 Interested in boldly going? Here are the details. 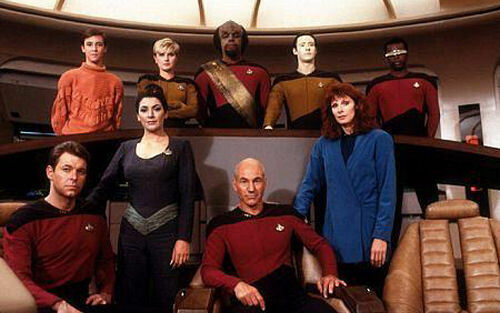 In celebration of ST:TNG's 25th anniversary, screenings of episodes 106 and 114, "Where No One Has Gone Before" and "Datalore," will be shown in theaters throughout the United States. Never before seen interviews and behind-the-scenes looks at the special effects will also be featured. Screenings are scheduled for Monday, July 23 at 7PM with some theaters also hosting late night viewings. Find out which theaters in your area will be participating by entering your zip code on Fathom Event's site. Tickets go on sale today.